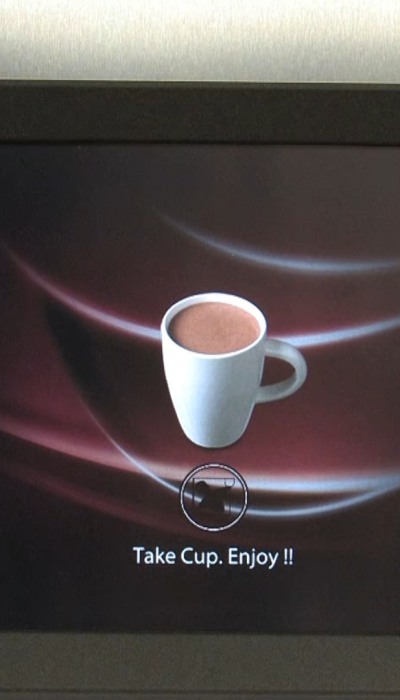 Drink Our Coffee machine is like having your Barista in your office or business. 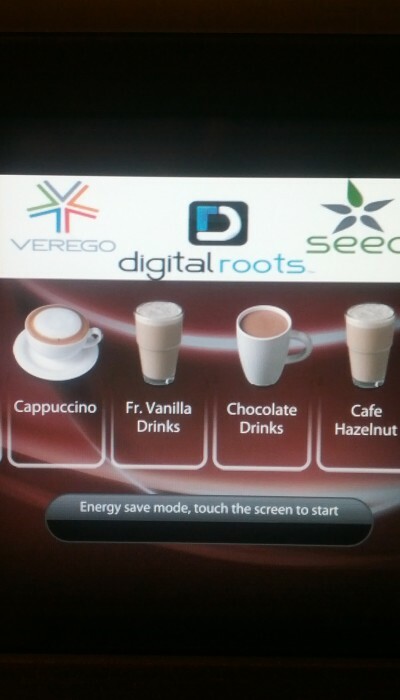 Select your drink on the 9 inch full color touch screen. Freshly roasted Beans are ground just for your one cup. 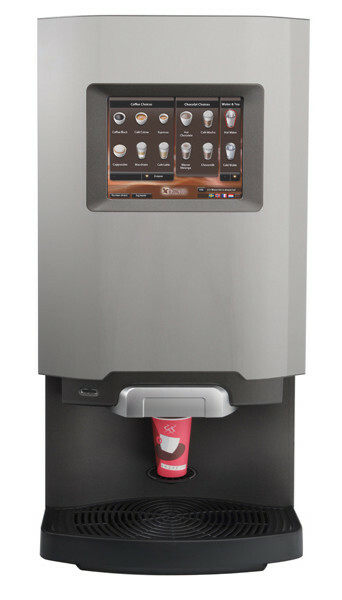 The combination of freshly ground high quality beans, optimal water temperature, pressure, and brew time gives a pleasing taste. Combinations are endless with the option to adjust Brew strength and add various flavor shots. 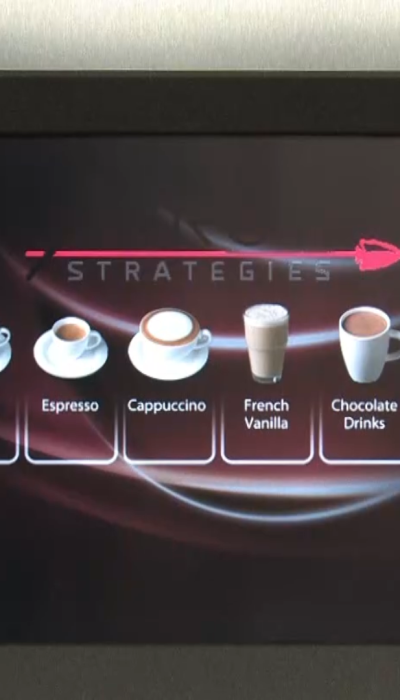 Coffee, Espresso, Americano, Café Latte, Café Vanilla, Café Mocha, French Vanilla, Hot Chocolate, Hazelnut, Flavor Shots are some of the options available. 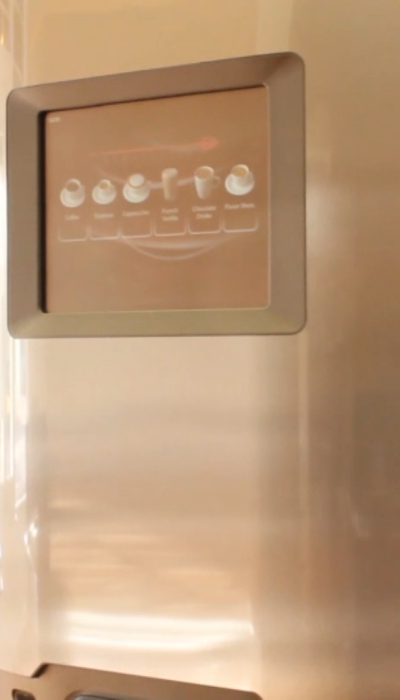 The machine, equipped with various sensors, will not dispense a drink unless a cup is placed on the cup stand, if the water temperature is not correct, or if the waste bin is full. This ensures proper and safe functioning of the machine. 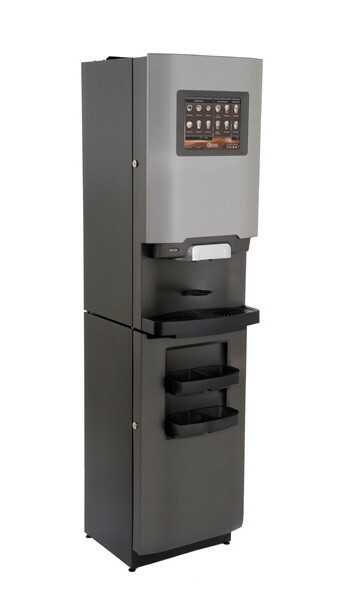 The electronic counter keeps track of drinks dispensed ensuring easy and accurate billing. 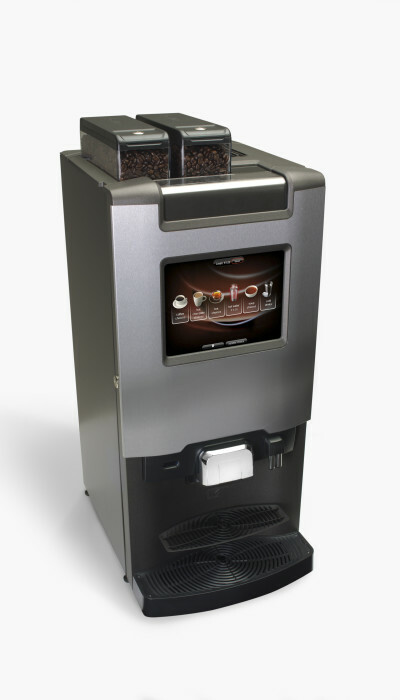 The 9 inch touch screen can display your company logo, run slide advertisement or messages to your customers and employees. The advertisement feature has helped our customers gain significant cost savings. Our machine, combined with high quality products and service, can fit into any setting, from hospitals to car dealerships to consulting firms to trucking companies to schools. It is a great fit for you! © 2019 Sabols LLC. All rights reserved.